One of the things that increase the credibility of a company and the safety of the customer in the products and the services, specially when we are talking about training machines that have a direct link with our safety and health is the technical support and the after sales service. 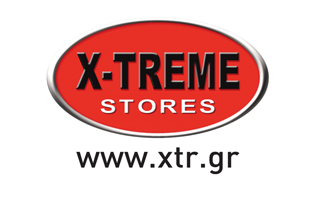 In this part, X-TREME STORES, can feel proud for the fact that have the ability and the will to provide high quality and direct service. Our company has its own technical department and not an independent company to cover our customers’s needs. It also has its own trucks that make the delivery from and to the house of the customers, while all the department follows faithfully the directives and the philosophy of X-TREME STORES and this leads to direct and close contact of the customer with our technical dpt and the company as well. In a huge, personal technical base, the specialized persons of the X-TREME STORES technical dpt, come close to any problem, while all through the year they follow service seminars in the base of all the constructive companies in the abroad, while at the same time they are helped by the diagnostic machines that find exactly the problem and lead to improvement of the machines in order not to face the same problem again in the future. All these combined with the huge stock of spare parts even in machines that are no longer available to the customers increase the quality and credibility of our department. Our department has officially taken the 1st price of technical service and support among all the European countries from the leader designer and constructor, American Icon Health & Fitness USA for the knowledge that is far ahead of all their European technicians.